"Pointless and boring and bad!" 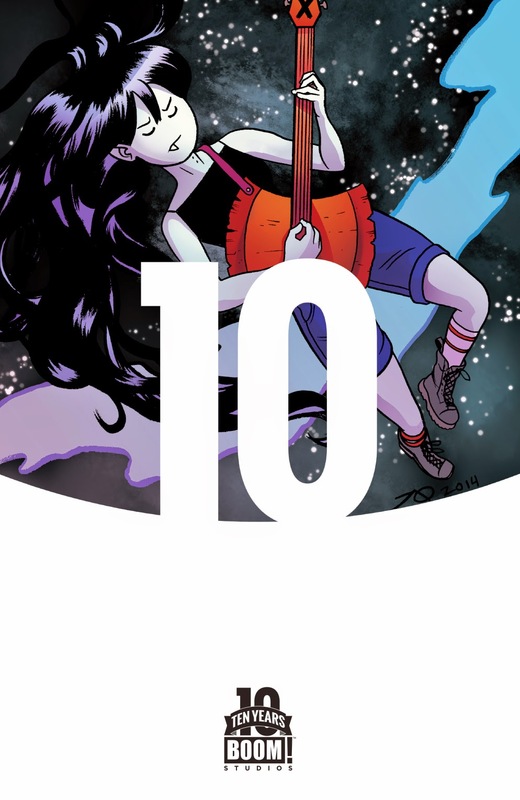 Marceline is one of those characters in the Adventure Time universe who punches above the maturity level of most everyone else in the Land of Ooo. She's always introspective, looking for untapped sources to make her music that much more soulful. She's not always successful in her search, but at least she does search. 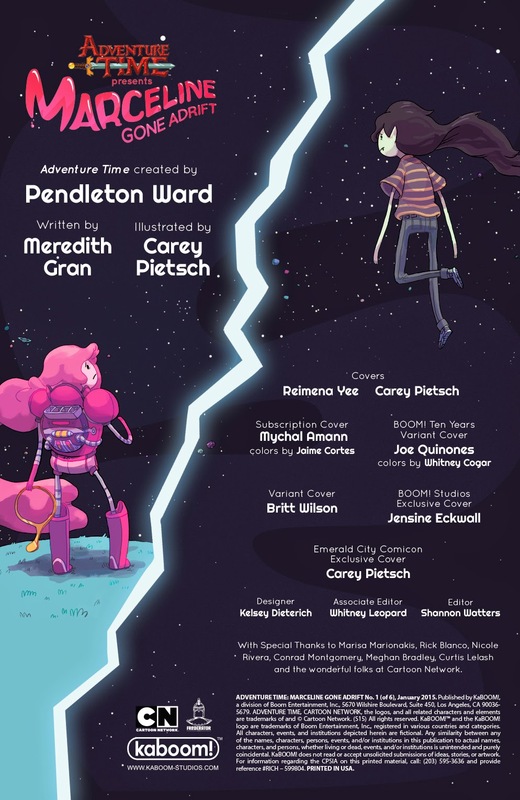 In Adventure Time: Marceline Gone Adrift #1 from BOOM! Studios, her travels might take her a little farther than anticipated. The issue is written by Meredith Gran and illustrated by Carey Pietsch. 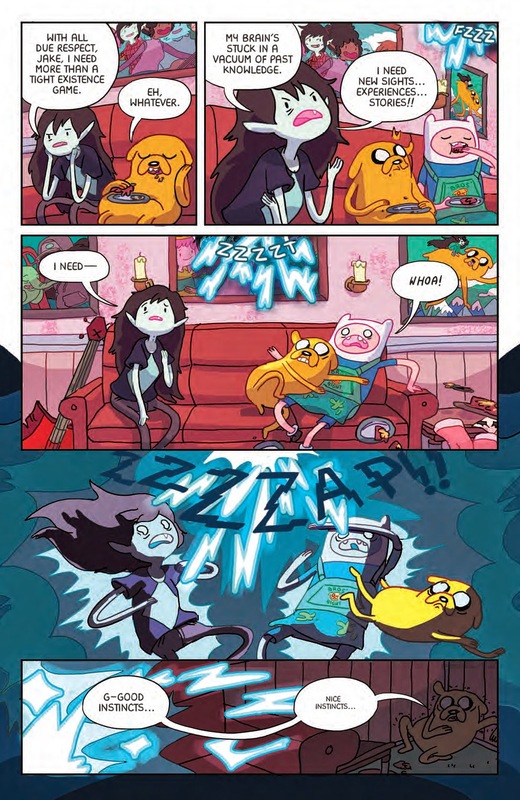 Marceline is on a rampage for mysterious reasons and the kingdom of Ooo is desperately scrambling to stop her. 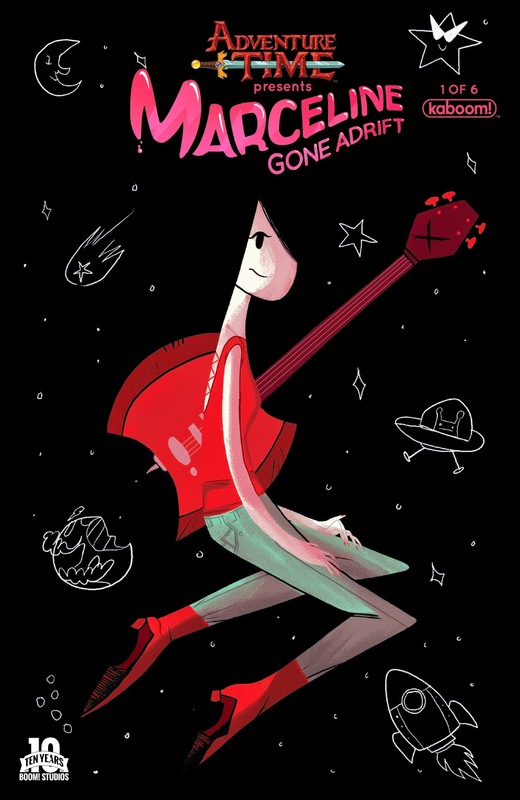 In trying to save both Ooo and Marceline herself, Princess Bubblegum accidentally propels Marceline into the farthest reaches of space…and strips her of her powers. 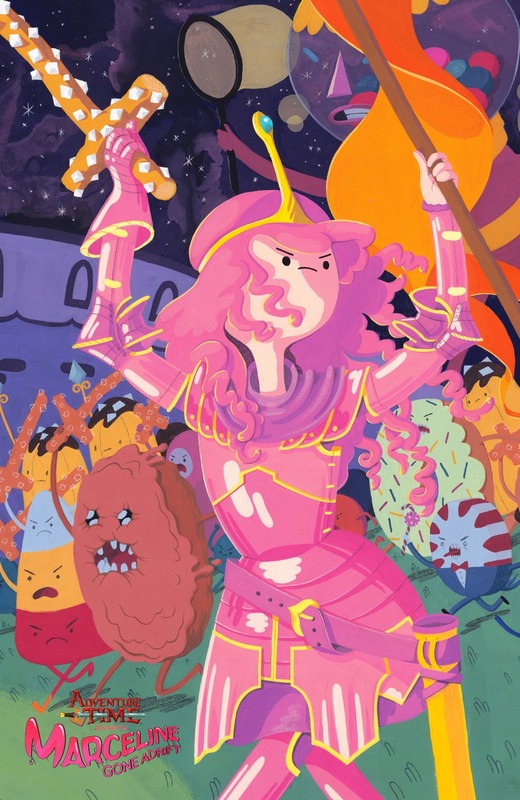 Guilt-ridden, Princess Bubblegum sets off on a space rescue that’ll test the power of her mind as well as the power of friendship. 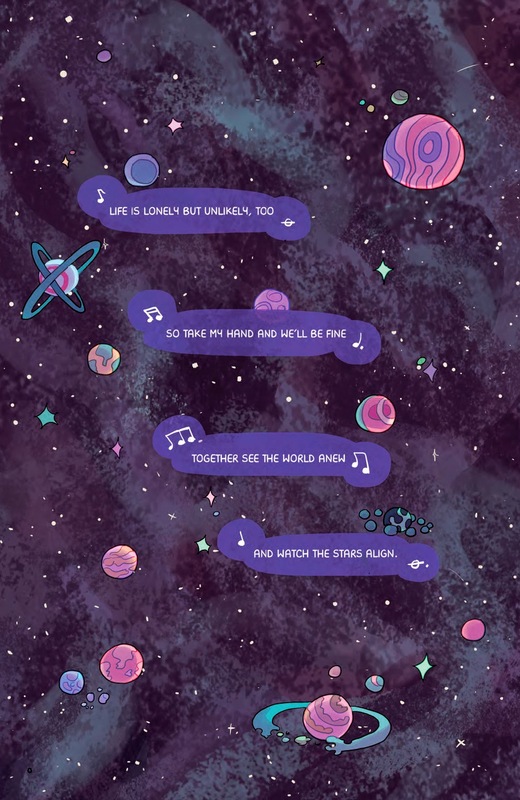 From the Adventure Time perspective, Adventure Time: Marceline Gone Adrift #1 fits very comfortably in that world. Just about all the big-name characters are present and they're all presented in a way that gives Marceline's character the chance to really shine. Gran's approach feels a little too rooted in reality in some ways though. 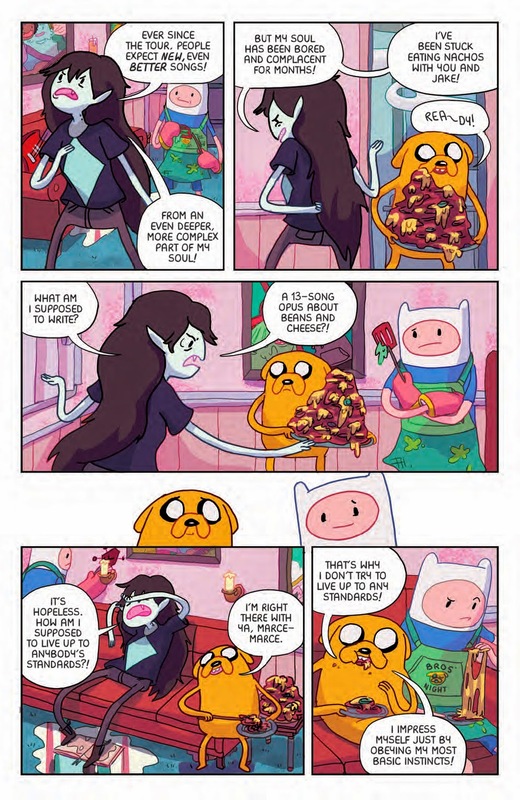 That is, Adventure Time is about making the outlandish normal; in Adventure Time: Marceline Gone Adrift #1, Gran seems to make it a little too normal. 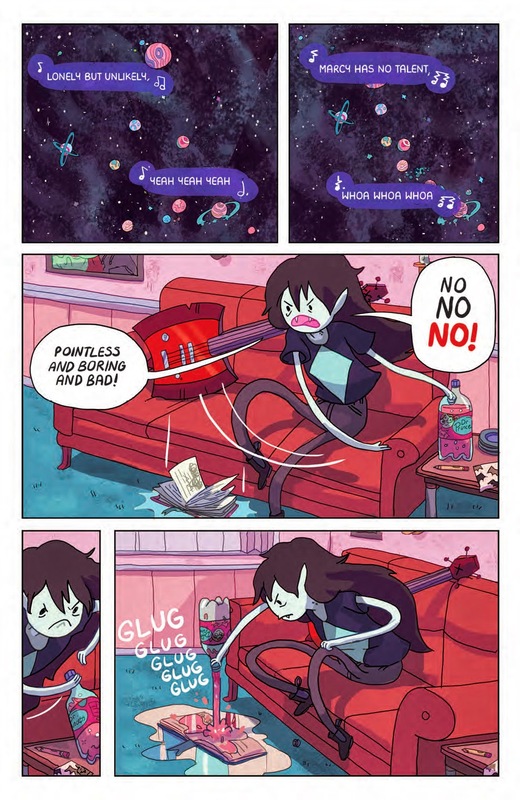 That approach reads perfectly fine, but there are moments where you feel like the characters have eschewed their typical, nonsensical approaches in favor of something deeper (even though Marceline has always been that way for the most part). Similar to what Gran did with the story, Pietsch does with the art. All the characteristics that make the characters easily recognizable are there, right down to Jake's comfort in using his body for convenience when necessary. Finn appears a little too elongated in some panels, which makes him feel as if he's and adult version of himself. There's also a gritty filter atop the illustrations in general; this might be more the copy reviewed as opposed to a conscious design choice by Pietsch. Pietsch's choice to utilize empty gutters is interesting as well, considering that Adventure Time stories emphasize the absurd as opposed to the mundane. 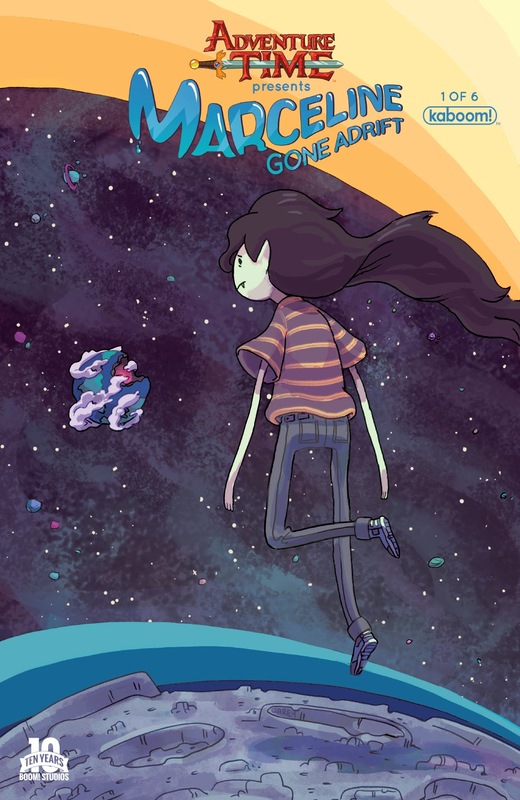 Adventure Time: Marceline Gone Adrift #1 is steeped in Adventure Time lore, but feels a little anachronistic in some ways. It feels as if Gran and Pietsch have collaborated on a story where the characters feel much older then they probably should. Gran's pacing is perfectly fine and she hits all the right Adventure Time notes, but there's a strange sense of responsibility in the dialogue and the way the characters interact with one another. Pietsch's illustrations further this idea, as the characters are depicted as more mature than they should be. 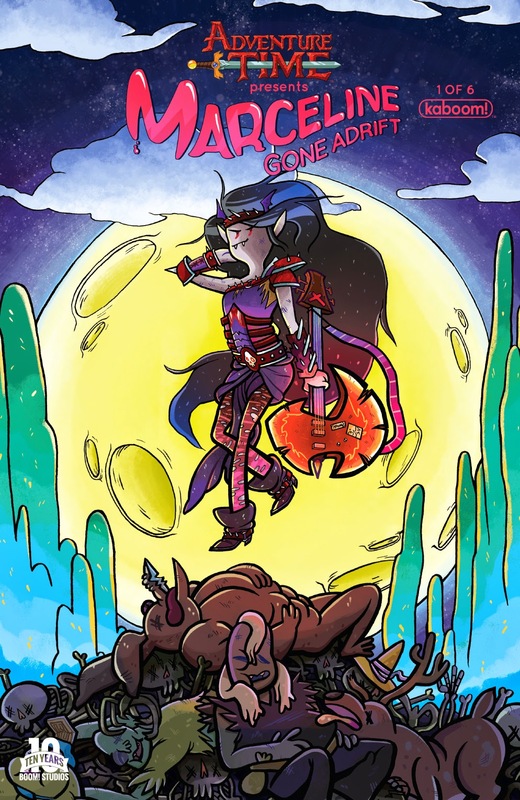 Adventure Time: Marceline Gone Adrift #1 is still a fun book no doubt that fans of Adventure Time will definitely sink their teeth into. 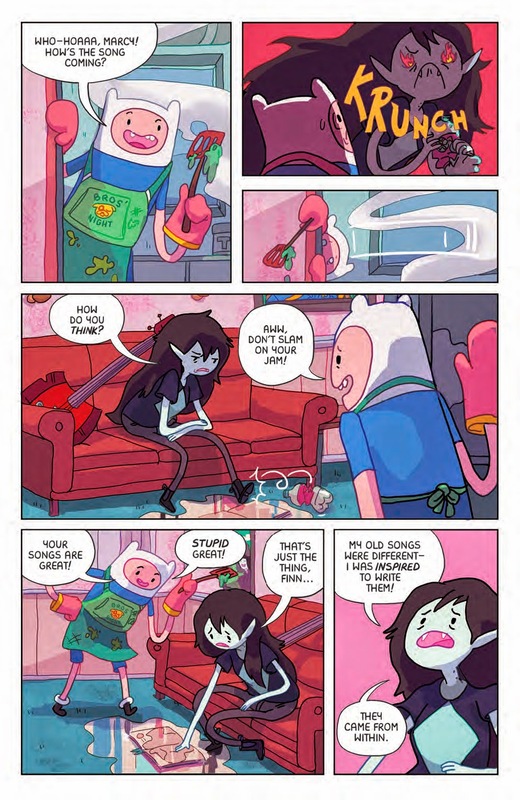 Adventure Time: Marceline Gone Adrift #1 is in stores January 14 with interiors below.